Critically acclaimed author Cammie McGovern’s middle grade debut is a powerful and heartwarming story that will appeal to readers who loved R. J. Palacio’s Wonder, Ann M. Martin’s Rain Reign, and Holly Sloan’s Counting by 7s. Fourth grade is not going at all how Benny Barrows hoped. He hasn’t found a new best friend. He’s still not a great bike rider—even though his brother George, who’s autistic, can do tricks. And worst of all, he worries his dad’s recent accident might be all his fault. Benny tries to take his mom’s advice and focus on helping others, and to take things one step at a time. 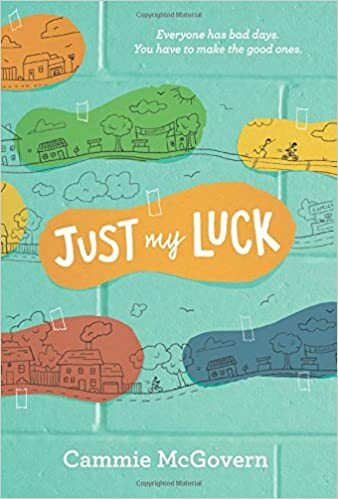 But when his dad ends up in the hospital again, Benny doesn’t know how he and his family will overcome all the bad luck that life seems to have thrown their way. @mwebsterbcps @jschoen714 Thank you Michelle! Great students! Thoughtful questions!